← NHL’s Top Cop: BOBROVSKY! Hockey fans, Puckbuddys readers: I would like to ask you to take a moment of silence as the professional hockey world just became a little smaller. 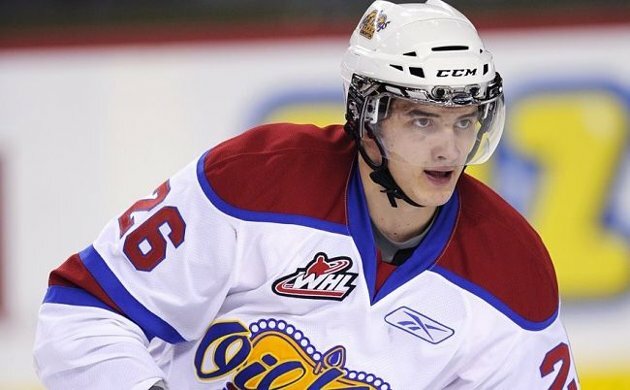 Edmonton Oilers prospect Kristians Pelss’ body was recovered from the Dugava River in Latvia on Friday. Emergency services in Riga, Pelss’ hometown were contacted when a passerby saw a person jump from a bridge crossing the Dugava River early last Tuesday morning. The police searched right after they arrived on the scene but only found his clothing. Police have yet to confirm whether his death was accidental or suicide. The young man of only 20 years old was drafted in 2010 by the Oilers. He spent last season with their AHL affiliate the Oklahoma City Barons and Stockton Thunder of the ECHL. No matter your affiliation in the hockey world it is a sad day when a tragedy like this happens. I know the Oilers and the Barons are not my normal beat on Puckbuddys but I will be following this story closely. 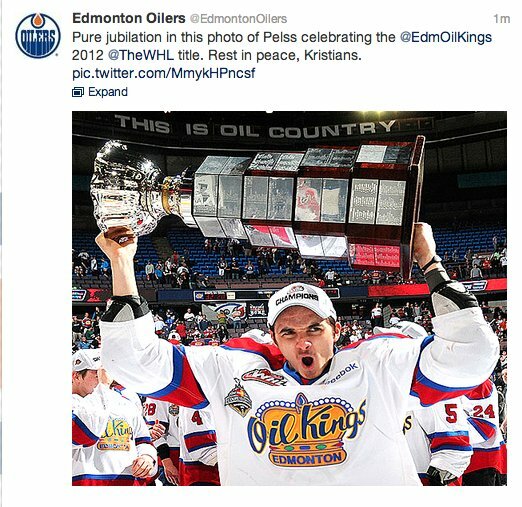 This entry was posted in The Minors, Uncategorized and tagged Edmonton Oilers, Kristians Pelss, Oklahoma City Barons. Bookmark the permalink. God rest his soul; may he be at peace, and may his family find comfort in the days to come. I heard that a Norwegian kid who had been playing in the U.S. recently killed himself shortly after returning home for the summer. Hope someone takes the trouble to find out what’s behind these sad events so some effort can be made to prevent more from happening. Hadn’t heard about that but I will take a look into. I hope this doesn’t grow out of control though.